It was like watching “a horror movie,” said Karl Doemens in the Berliner Zeitung (Germany). Even before the Helsinki summit between Vladimir Putin and U.S. President Donald Trump got underway this week, it was clear the Russian president “had the upper hand.” He kept Trump waiting for an hour and appeared relaxed and in charge at the photo op, all the while flashing “a malicious smile.” Then, at the joint press conference following the pair’s private, two-hour meeting, Trump morphed into a Kremlin mouthpiece. Challenged to criticize anything at all about Russia—a country that in recent years has invaded Ukraine, shot down a civilian airliner, and interfered in a U.S. election—Trump said both sides were at fault for their poor relationship. Even though his Justice Department had just indicted 12 Russian intelligence officers for conspiring to sway the 2016 U.S. presidential race, Trump dismissed the entire investigation into Moscow’s meddling as a “witch hunt.” He “squirmed, fueled conspiracy theories, criticized the domestic opposition, and finally positioned himself on the side of the autocrat against his own security agencies.” The bizarre performance made sense only if you believe the once incredible theory that Russia is blackmailing the U.S. president. 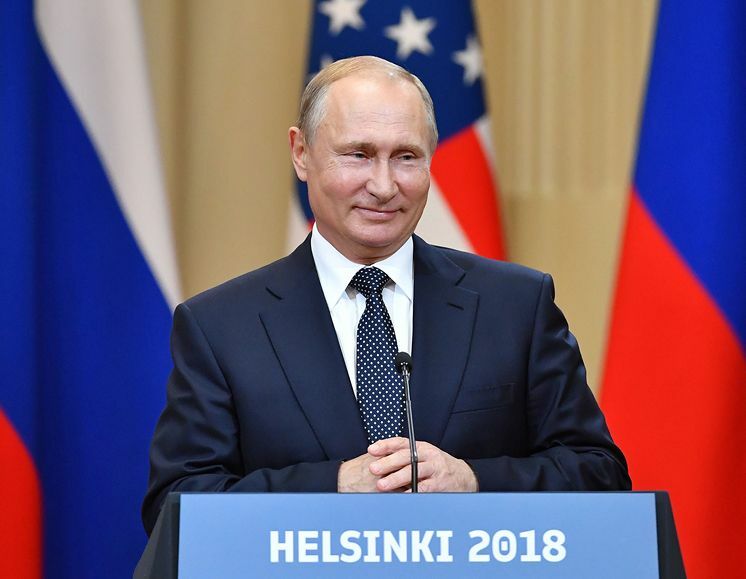 Witnessing Putin easily outplaying Trump “filled my heart with not only pride but also alarm,” said Mikhail Rostovsky in Moskovsky Komsomolets (Russia). Getting Trump to side with Russia rather than with his own officials was quite a coup. The problem is, this was all done rather too well. There’s sure to be a backlash in the U.S. And whenever Trump is hit with such domestic criticism, he ends up making “plainly anti-Russian decisions,” such as imposing painful sanctions. That’s why the docile Trump we saw in Helsinki “scares me more than the boorish bully Trump” who savaged German Chancellor Angela Merkel days earlier. Putin, though, seemed satisfied with Trump, said Kira Latukhina in Rossiyskaya Gazeta (Russia). He told Russian TV after the summit that the one-on-one discussion was “very informative” and had been held in “an atmosphere of partnership.” And he praised Trump as “a very skilled person” who “listens and accepts the arguments” but also stands firm when he wants to—for example, on his pullout from the Iran nuclear deal.